A true friend reaches for your hand and touches your heart, this is just an example of the amazing quotes related with friends and friendship that we present in the cards you will find bellow. Choose the best poem or phrase, and surprise that friend that has made your days special. 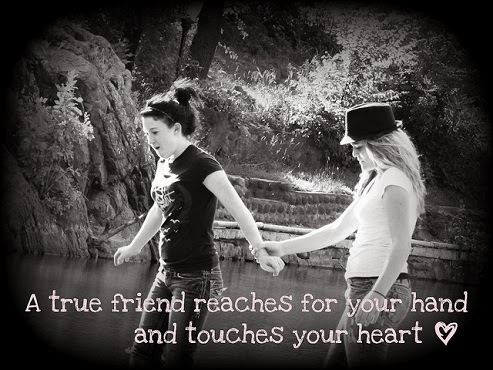 A couple of friends taking a walk with the message: A true friend reaches for your hand and touches your heart. A couple of girls with the message: True friendship comes when the silence between two people is comfortable. A couple of friends laughing, the message is: A day spent with friends is always a day well spent. 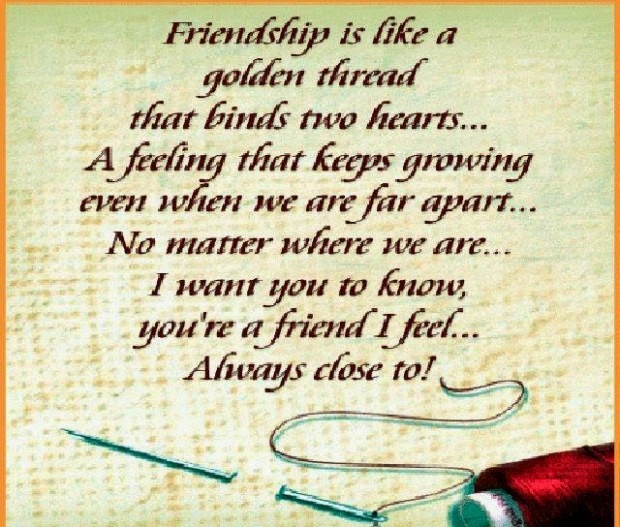 A beautiful quote for friendship that says: Friendship is like a golden thread that binds two hearts... A feeling that keeps growing even when we are far apart... No matter where we are... I want you to know, you'r a friend I feel... Always close to! Three friends together and smiling with the message: True friendship comes when the silence between two people is comfortable. 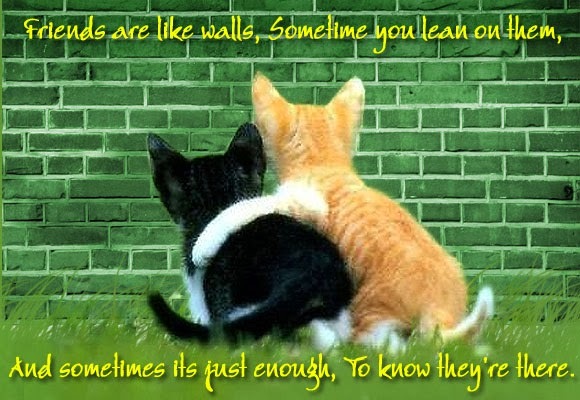 A couple of cats with the message: Friends are like walls, sometime you lean on them, and sometimes it's just enough, to know they're there. 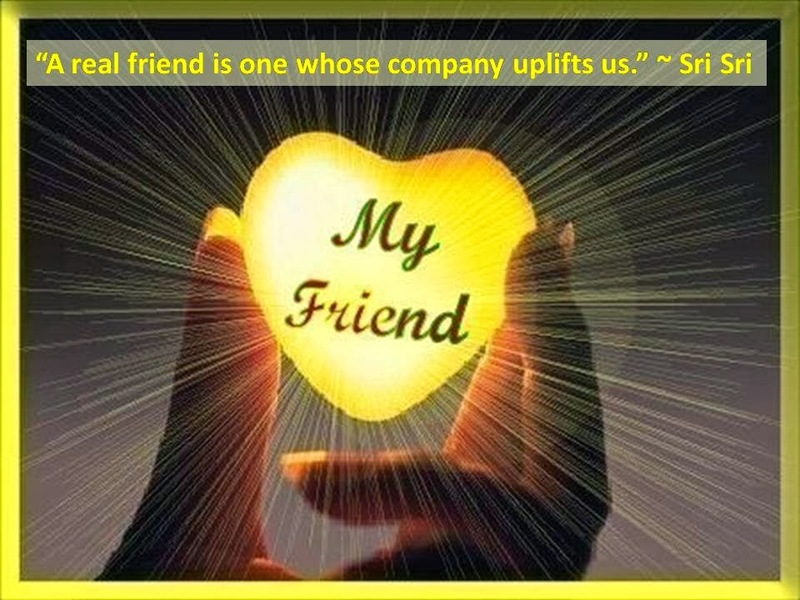 A card with a yellow heart with the message: A real friend is one whose company uplifts us. 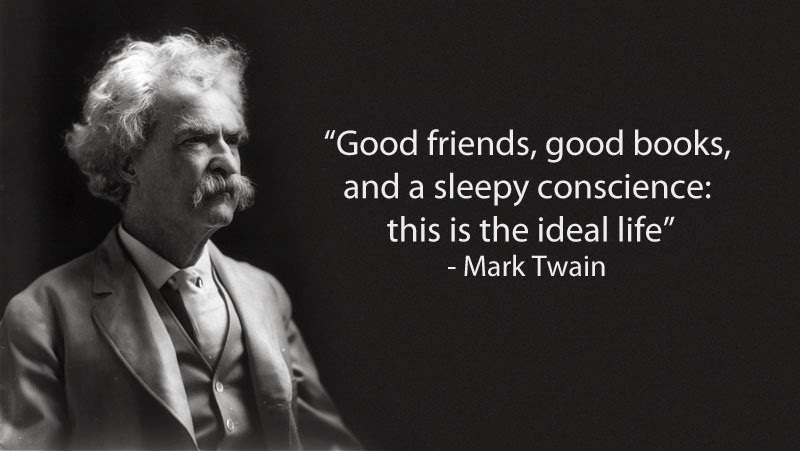 A Mark Twain's poem about friends: Good friends, good books, and sleepy conscience: this is the ideal life. 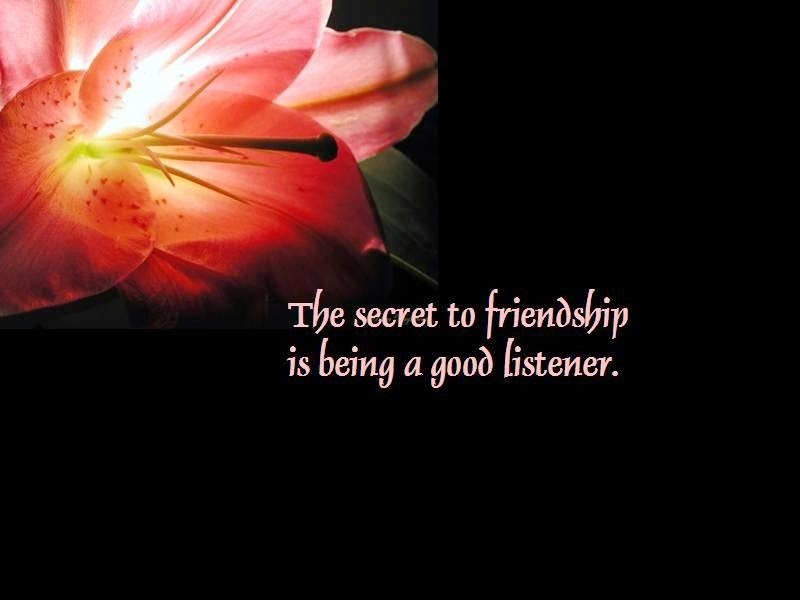 A black card with a pink flower and the message: The secret to friendship is being a good listener. 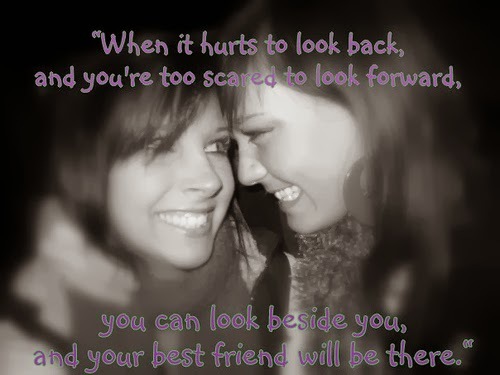 A couple of friends smiling and the message: When it hurts to look back, and you're too scared to look forward, you can look beside you, and your best friend will be there. A card with two flowers and the message: Being friends with you has added a bright spot to my life. 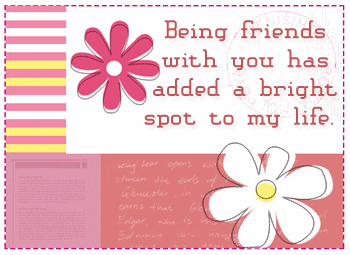 I hope you have enjoyed these cards with Friendship Quotes.